All roads lead to... Madrid? Well, in the case of Spain this is almost true as Madrid is not only the country's capital but almost literally lies at the center of country. Because of its location, it truly is the central hub for transportation and from here you'll not only be able to enjoy and explore this amazing city but also venture out to pretty much wherever you want to go. Before you move to Madrid and embrace your new city, the first step for any relocation from the U.S. is the shipping of one's household goods and personal effects from home. For international moves to Madrid, there are two different types of services that we offer and which one clients select will determine whether you ship with a direct or transshipment service. *Schumacher Cargo's locations in the US include Los Angeles, Houston, New York, Savannah and Miami. After receiving the container, your goods will be unloaded at either the port or our agents warehouse and then delivered right to your door. If you elect our consolidated service, which offers more competitive rates, household goods shipments are moved first to the UK and then transported to your new home in Madrid. This applies to those moving to Madrid from the U.S. for a period longer than three months. There are exceptions of course, but generally this is one of the first things to take care of. The police station will have a special department for foreigners called the Departmento de Extranjeros, which is where you'll need to go. The main office is located at Plaza de Campillo del Mundo Nuevo 3. Not only is Madrid a centroid in terms of the national transport system with long distance railways and trains, but the city also has one of the best city metro systems in the world. It's also very affordable and convenient. Like any new city, it may take some time to get used to the area , but be patient as before you know it you'll be an expert. If you are moving to Madrid and flying directly to MAD international airport, there are metro lines from Terminals 1,2,3 and 4. In the case of relocations from the USA, you'll find everything you need at the T1. Now that you've learned a little bit more about your new city, let Schumacher Cargo handle the tough parts of an overseas relocation. Find out how much it costs to move household goods to Madrid by filling out our Free Online Quote Form! Some popular and well known artists have come from Spain like Pablo Picasso, Salvador Dali and Joan Miro. Bullfighting is considered an art in Spain. It is one of the popular attractions and the biggest and most controversial sports in Spain. It is actually a part of the SpainÍs history, art and culture. There are bull rings in all major cities and outlying areas. The tooth fairy is not recognized in Spain. Instead, they have a tooth mouse named Ratoncito Perez. Despite the beret being associated with France, the Basques in north-east Spain invented the beret. The Spanish also eat a lot of snails. Only the French eat frogs' legs, though. Spain makes 44% of the world's olive oil, more than twice that of Italy and four times that of Greece. 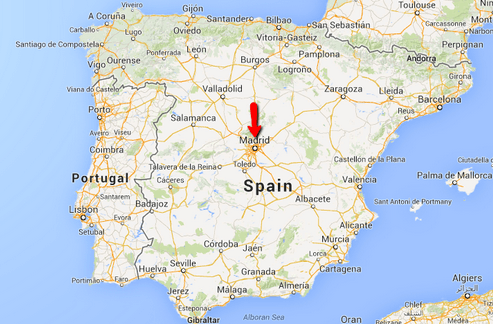 More than a quarter of Spain's oil (10% of the total world production) comes from Jaen.